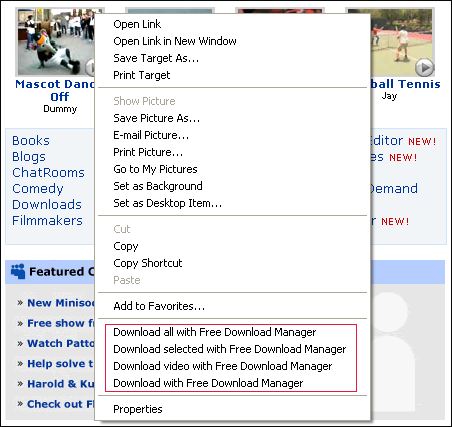 Downloading MySpace flash videos with Free Download Manager is quick and simple! MySpace is one of the most popular sharing sites where users can upload, view and share video clips, music, books, ringtones and many more. 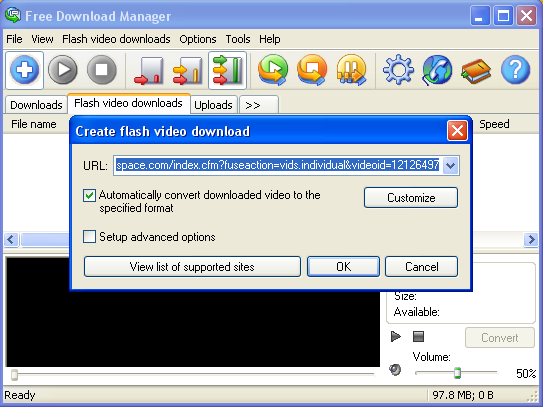 You can use Free Download Manager to perform flash video downloads from MySpace at a great speed. In the MySpace site, right-click on the thumbnail of a video you would like to download.